See what bass rods Elite Pros Bradley Roy and Brandon Lester built to fish the challenging conditions of the Sabine River. Bradley Roy caught more than 41 lb. of Sabine River bass, he also caught his second top 12 finish of 2018, more angler of the year points, and a hefty check. Moving from 16th place after Day 1, to 6th place after Day 2, Roy kept his head down fishing and focused on what he needed to do to keep climbing up the leaderboard. His strategy definitely worked as he rose to 5th and finally, finished at 4th place. Customizing a couple builds before the stop at Sabine, Roy knew building the right rods for the river could give him the competitive edge. And we would say that it worked! 4th place on Sabine River is a stunning accomplishment for any angler, but considering how tight the competition was, it makes Bradley’s rise from 16th to 4th incredibly impressive. With the rankings for Angler of the Year just as tight as Sabine River’s competition, 4th place is a huge win for Roy. After four long days of fishing on Sabine River, Bradley was able to count on two MHX rods he had built for the river environment. No surprises for his top pick, Bradley Roy is a longtime friend of the MB873-MHX rod blank and based on the numbers, it likes him a whole lot too. Roy has gotten better and better with each season on the Bassmaster Elite Series, and the Mag Taper MB873 has been there each event along the way. The MB873 is the first rod that Roy built and he appreciates its versatility in bass fishing so much, that he has now built 5 more that keeps on the boat at all times. Tweaking each build to his own preferences with each lure, Bradley Roy has dialed in his MB873-MHX All-Purpose Rod to catch serious results. The Mag Taper Series is incredible popular in bass fishing and the MB873 has played a huge part in that honor. 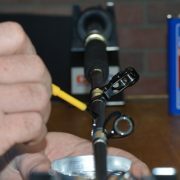 See what this rod can catch for you and build your own MB873-MHX All-Purpose Rod! Normally, Bradley Roy would grab the CB845-MHX for his crankbaits, but while practicing, Roy noticed he was losing some fish this time around. Since he was throwing a smaller crankbait and aiming under tree limbs, the CB845 was just too stiff of a rod to make that cast and to keep fish buttoned up once they bit. With the help of Mud Hole and his experience of rod building, Roy dialed the power down from the CB845’s medium-heavy to the CB843’s medium power. Built to be more limber, but still maintaining the same moderate-fast action, the CB843-MHX crankbait blank toned down the power, so that Roy could swiftly cast up under tree limbs and then maintain the treble hooksets once the bite was on. 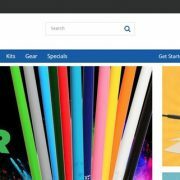 Build your own CB843-MHX Crankbait Rod Kit! Rod building brings more than enhanced equipment—as you can see with Bradley Roy—it also brings the knowledge to make those key rod adjustments that others simply can’t. More confident and more prepared, Roy believes rod building is always an x-factor for him on the Elite Series. 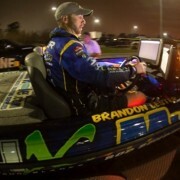 After sitting at 41st after Day 1, Brandon Lester battled back to steadily climb the rankings. Went from 41st to 38th and finally, finished 33rd place. Moving up everyday is always a plus and Lester was able to cash in at 33rd place. Knowing Sabine River can be a tough place to fish, Brandon capitalized where he could. Most importantly, he stayed mentally dialed in and used rod building to help keep his confidence up throughout a challenging event. The fishing on Sabine River was a test to say the least, but staying focused mentally and having the right rods built for the river’s often random fishing conditions definitely helped Lester finish in the money. The Elite Pro Series line now features a nano resin system that, believe it or not, makes these incredible blanks that much better. Let’s just say it didn’t take long for the new NEPS rod blanks to hook Brandon Lester. In particular, one of his favorite fishing rod blanks is the NEPS81MXF-MHX because it builds the versatile spinning rod to handle anything he wants to throw with it. From shaky heads and drop shots, to jerkbaits, rattletraps, and more, the NEPS81MXF-MHX rod blank can do it all and do it all very well. For example, at Sabine River, Brandon tied on a soft-plastic jerkbait to get some bites going and he ended up catching even better than he expected. The extra fast tip of the NEPS81MXF makes working lures effortless as a subtle snap turns into the perfect jerk action from the bait. 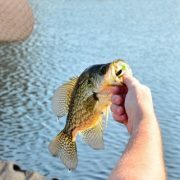 Another benefit of the extra fast tip is the ability to sense the bite and set the hook in a split second. When used in the right application, extra fast tips are great for reducing fatigue while working baits for long hours and setting the hook quickly with little effort. Catch this rod’s elite performance in the NEPS81MXF-MHX Rod Kit! Lester’s been throwing a crankbait since he was just a kid and that means he knows just the rod that he wants to do it. Although he would usually grab a rod from the crankbait series, casting a smaller crankbait in the river’s tighter conditions meant switching things up. The fast action of the MB842-MHX blank and its medium-light power were key for not only moving the crankbait, but also maintaining the treble hooks once it came time to fight. Whenever he saw scattered coontail, or a little bit of milfoil mixed in, Lester would grab his MB842-MHX rod and let that smaller crankbait loose. Keeping his retrieve steady helped that crankbait stay shallower and continue wobbling to draw out big bites between the vegetation. Build your own MB842-MHX Rod Kit here! 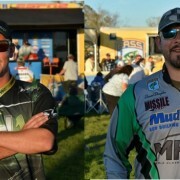 As these two Elite Pros would tell you, rod building brings a whole new perspective to fishing. It adds another layer of equipment to tweak and tune-in for performance results beyond belief. From reducing rod diameters and weight, to boosting sensitivity, strength, and performance, all while maximizing durability, rod building brings all the best components in the industry to your fishing rod. Find your competitive edge and build your own custom fishing rods now!